Fill half of a pot (dutch oven) with water and add vinegar. Bring to a rolling boil and add the frozen fish fillets. Lower heat to keep at a low boil for 10-13 minutes to cook. Lift the fillets out of the water and divide into the portions you need. If more than three people, you may want to do 2 pounds of fish. Serve garlic butter in little cups with each portion along with lemon wedges. 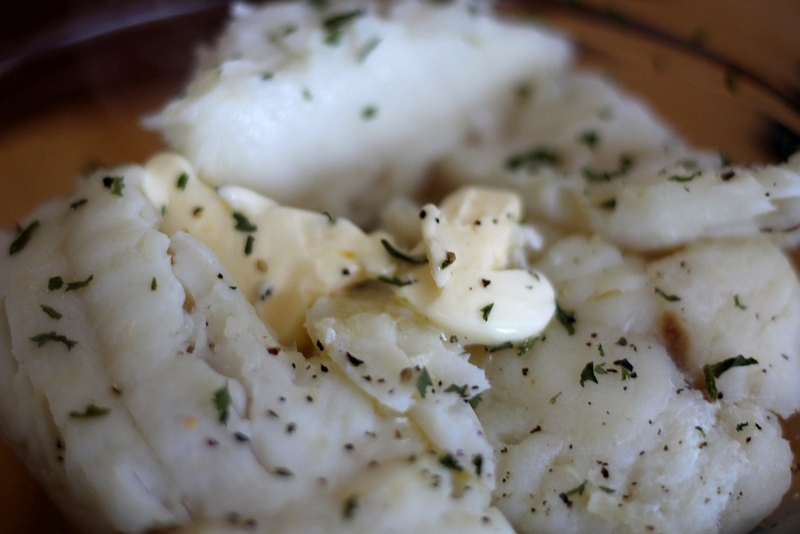 Each person can either dunk the fish in the butter or just pour the butter over the fish.